Canada Day is coming up and Chapman's has a huge Canada Day Instant Win Contest on now! 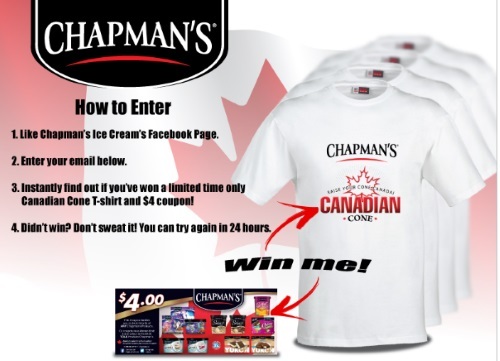 Enter at the link below for a chance to win a Chapman's Prize Pack including a Canadian Cone t-shirt and $4 off coupon. There are 100 prize packs available. One entry per person, per day. Contest closes June 13, 2016 at 12pm ET.